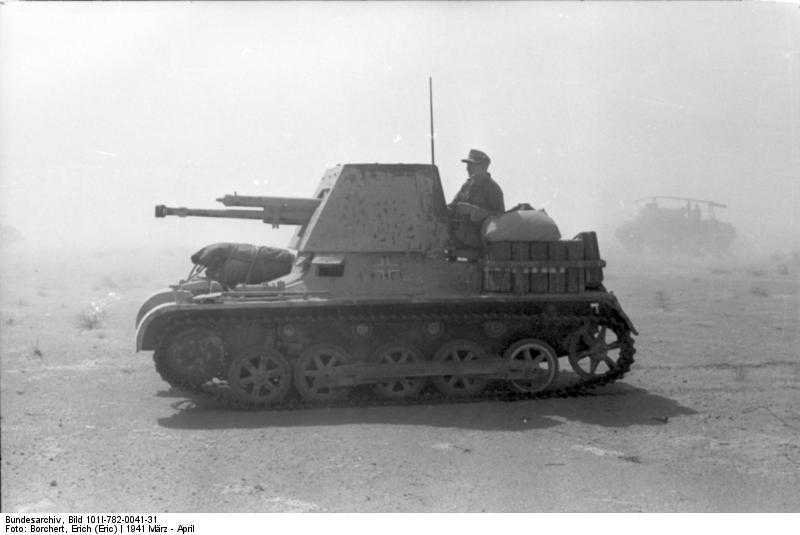 The Germans made extensive use of tank destroyers and the earliest model to see action was the Panzerjäger I Ausf B, this small vehicle was armed with a Czech 47mm gun and mounted on the chassis of the Panzer I light tank. 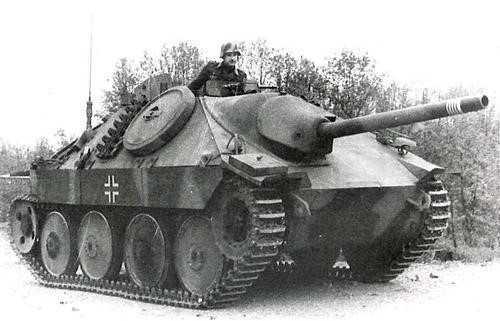 During operation Barbarossa the Germans soon realised that they needed a heavier tank destroyer to combat the Soviet T-34s and KVs. 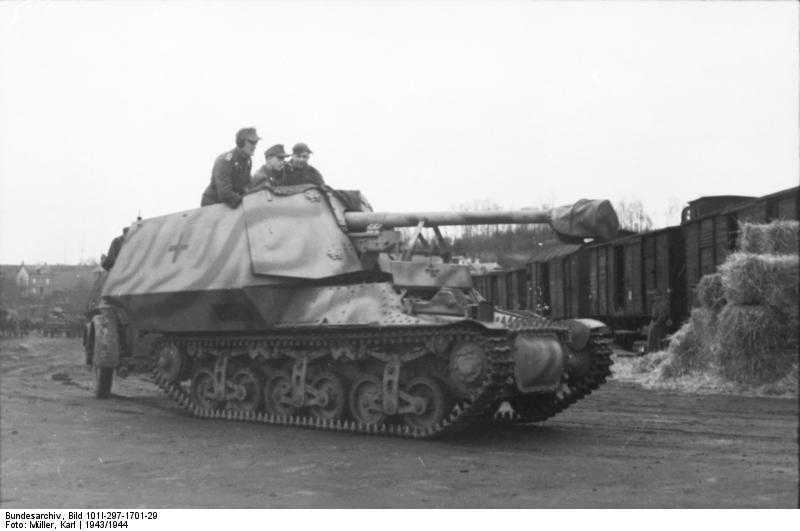 The weapons chosen was the new PaK 40 and captured Russian field guns and these were to be mounted on the tank chassis of foreign or obsolete vehicles and given the name Marder (Marten). 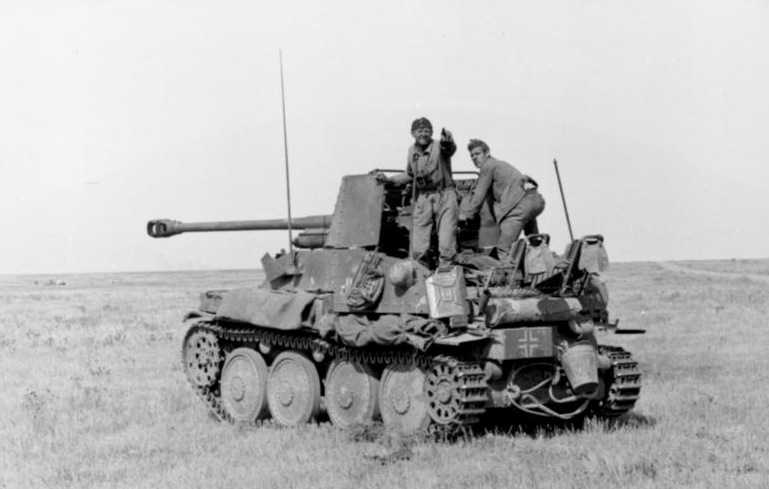 Initially both the chassis of the French Lorraine carrier and variants of the Panzer II was used. 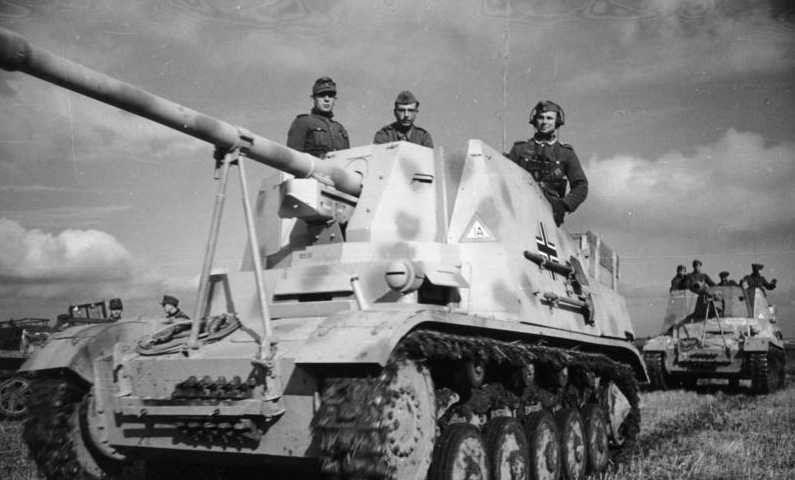 The Czech built Panzer 38(t) was also used as a mount and this version was produced until 1943. 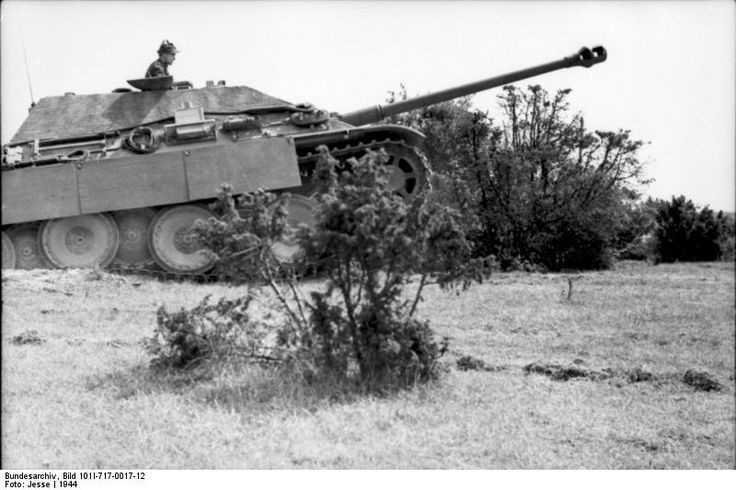 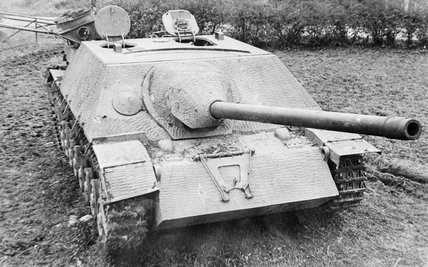 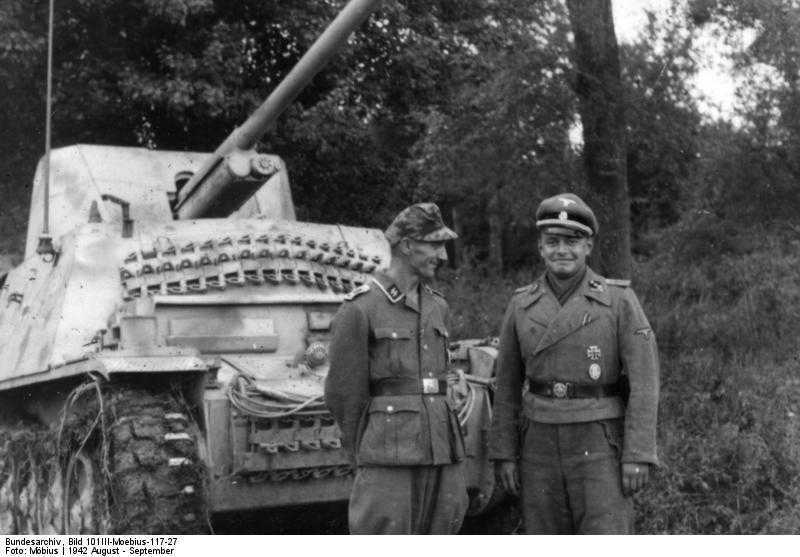 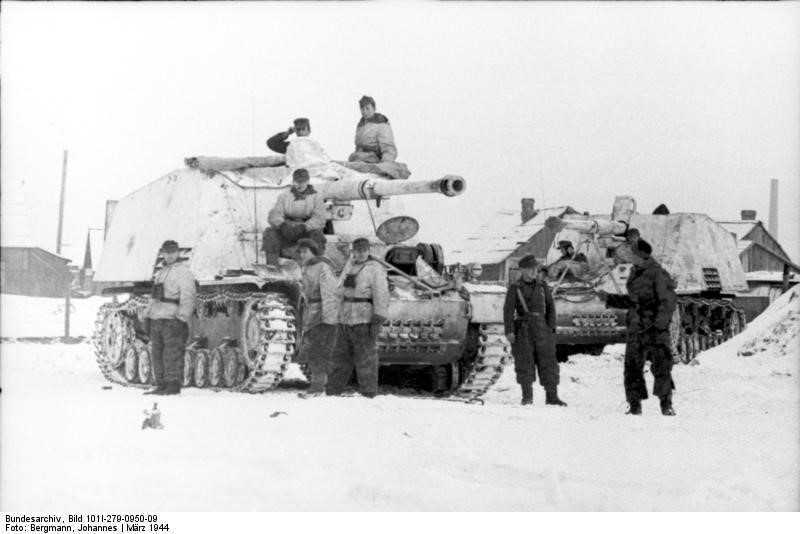 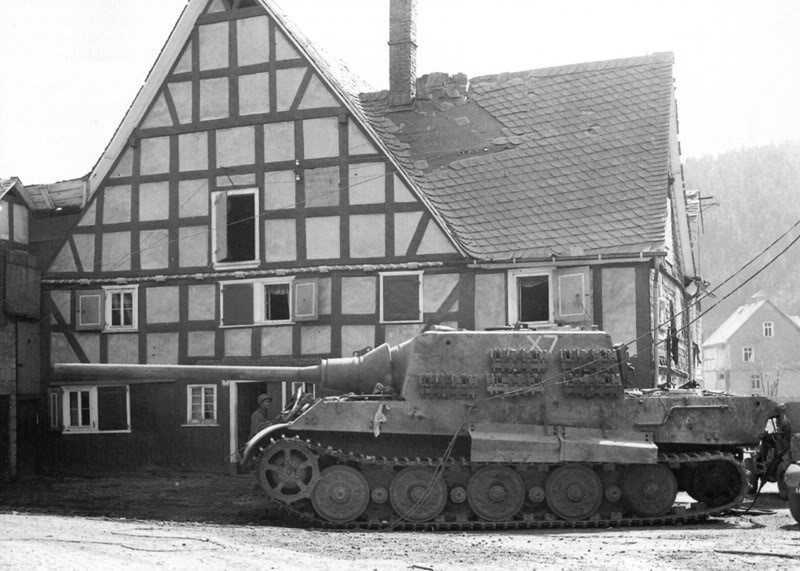 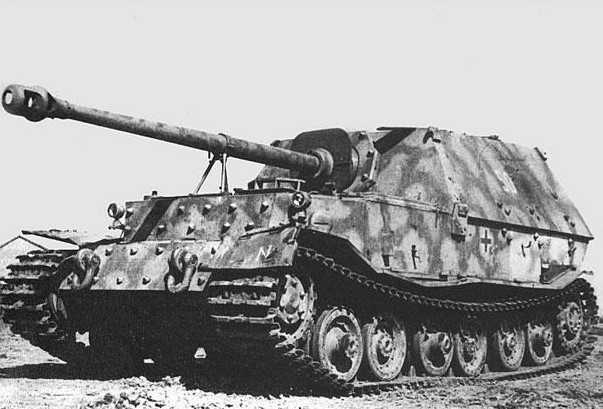 The Marder was really only an interim weapon and the Germans continued to design a whole range of tank destroyers. 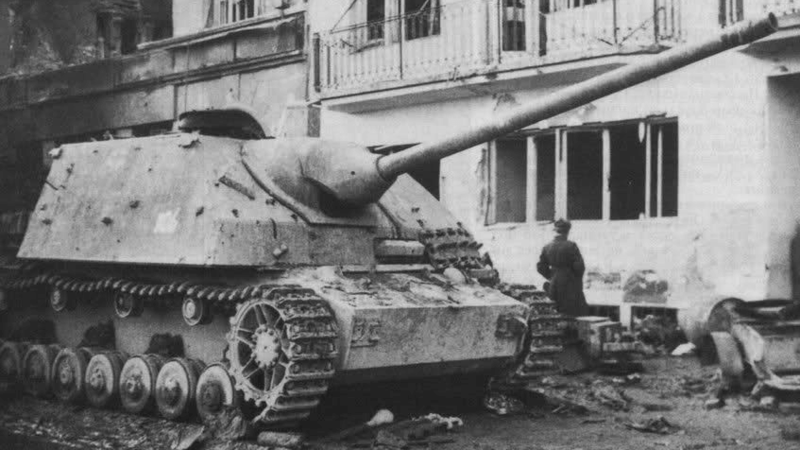 These were mounted with an array of weapons ranging from the 75mm PaK 39 and the longer PaK 42 to the excellent 88mm PaK 43 and huge 128mm PaK 44. 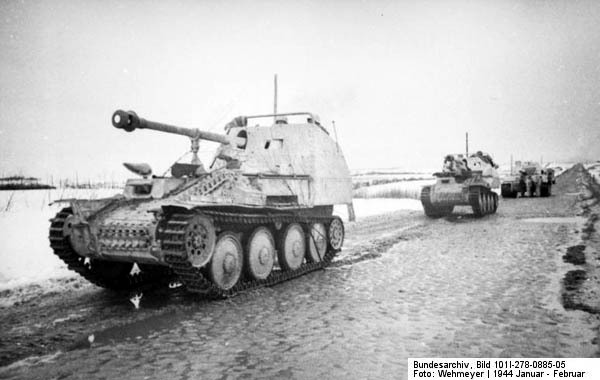 A number of tank chassis were used to develop this vehicles and these ranged from the Panzer IV, Panther, Tiger and Tiger II.